It’s summer, and despite the hurricane warnings elsewhere, a sunny Sunday is likely to draw us out to enjoy the season and do some constructive ambling. We headed over to Berkeley, a short trip across the San Francisco Bay and landed on 4th Street, a popular shopping destination. Jill wanted to have a look inside The Gardener, a lovely shop selling gardning supplies, outdoor decor and a variety of related products. A Chicken in Every Yard looks to be an authoritative and practical guide to raising chickens in your backyard. But what struck me about the book was the colorful and effective casewrap binding. This is a style of hardcover where paper or cloth is printed and then wrapped onto the cases that make up the hardcover itself. They are glued on, becoming an integral part of the book, unlike a dust jacket. Casewrap books are great for lots of applications, and they have always seemed underutilized by self-publishers, who may simply not know about this binding style, or that they can easily do this with their own books. A terrific typographic cover printed on green cloth. The hardcover makes it more useful in the kitchen, and the casewrap eliminates the messiness of a jacket. This book also shows that designers love casewrap books because they introduce a completely different element: texture. Some of these books are high gloss, with film lamination on the wrap. But many are printed on textured papers or cloth, creating another way for the reader to enjoy their interaction with the book. These two books from the Intellectual Devotional series use their casewrap covers to create a book that feels a bit like a primer, which may be what the design was intended to do. They make sturdy and long-lasting books. In this case the cover is brilliantly printed in full color, and the spine gets a cloth wrap. This cover immediately shows how colorful the book is and the quality of the photography. Bette’s is also known for breakfasts, and for their great pancakes. They have a book out, and every single diner gets an ad for the book right along with the sugar. That’s a great example of how effective selling outside the bookstore can be. There’s no better market for this book than the people sitting at Bette’s enjoying those pancakes. Good going, Bette! After lunch we made a couple more stops, and one was at the Builder’s Booksource. This is a bookstore devoted to books for contractors, designers, landscapers, ecologists and related crafts and interests. It’s incredibly popular, and a great example of the kind of bricks-and-mortar store that will continue to thrive even when others are closing. Axel Vervoordt: Wabi Inspirations is from the interior design guru of the same name. Here the printing is done on a soft finish paper with a full-bleed reproduction of one of the beautiful photos from the book. Although there’s no reason this has to be a hardcover, the binding immediately marks the book as special and precious. This book presents current developments in city planning and architecture in East Asia. Here the printing is on smooth uncoated paper, and all printing is in black. The graphic look of this book is striking and communicates its subject matter well. One downside to casewrap books can be seen on this copy of Human Anatomy, which I saw at The Gardener. This book has a cover wrap that’s been printed and then film laminated. Notice that the front cover on the top copy is quite warped. This may be due to humidity or to a manufacturing defect, or even to use as a sample copy in the store. But if done improperly, you can get this type of warping on covers with lamination. Why? The laminate is impervious to moisture, it’s actually a sheet of film that’s bonded to the cover by heat and pressure. The other side of the cover is covered with paper, which can absorb moisture. The difference between the two materials can cause warping when there’s humidity present. Don’t know if that’s what’s going on here. As self-publishers we should realize that we have all styles of books available. For manuals, textbooks, books intended for heavy use both indoors and out, books that will be used in inhospitable environments, think about casewrap books. They add variety, interest and texture to your book design, and might be just the thing or to make your next book stand out from the usual paperbacks and jacketed hardcovers everyone else is doing. Hello! I am making a hardcover book using a single sheet of thin Bristol Board for each “signature”. I am not stacking these — just using each as a signature. Do I need to sew these pages together before binding the book? It will be a “one time use” book for a Vacation Bible School. I have seen YouTube videos where the signatures are sewn all together into the book before the gluing into the cover. Thanks for any help you could give me. You’ll want to sew each “board signature” to a backing fabric, then glue the whole thing together with the cover affixed, then put it into a book press and trim the three open sides. You can probably find a video about this on youtube.com under “bookbinding.” Good luck! Thank you so much Joel for writing this article. I stumbled across it in a search for casewrap examples. In addition to being an independent publisher, we also offer author services to self-published authors and many of them are not interested in casewrap, mostly because they don’t know much about them. I want to find a good example to show a client, and I’ve looked for articles before, but never found something with images like yours. To my surprise you wrote this yesterday! Great timing! Thank you again. C. thanks for your comment. This was written about a month ago, but it’s kind of timeless. I hope the great examples here help to convince some of your authors to consider case wraps, it’s a great way to set your book apart if it’s practical for your project. Honestly, my true dream is to be able to self-publish my books in casewrap format. As yet, I don’t think CreateSpace allows this. Blurb does, but the customer price is prohibitive. How would I go about getting case-wrapped books? I suppose I’d have to do it the old-fashioned offset way, and that is cost-prohibitive for me the publisher. And how would I get those books on Amazon, etc? There are too many questions yet about that format, which is why I haven’t done it yet. You won’t get the terrific variety of papers and cloths to print the covers on, and the upcharge from paperbacks needs to be considered carefully, but you can do these via print on demand. Depending on the book and your marketing plan, it might be a good idea to test the concept out this way before committing to an offset run. Belinda, it could be your ISBNs I believe you have to have a block of ISBNs for Lightning Source to open an account for you as a publisher. I could be wrong, it’s been a while since I dealt with them. However, Joel is right. LSI might be the most cost effective way for you to do this. An interesting theory. I can’t remember if I had my block of ISBNs yet when I was applying to Lightning Source. I suppose it won’t hurt to try again to see what happens. Belinda, I’ve never had a problem setting up an account for a client at LSI. 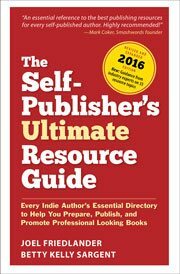 They are trying to avoid self-publishing authors who are looking for author services—which they don’t provide—and who can’t prepare their own files. If you present yourself as a publisher instead, with a publishing company name and at least a plan for publishing more books in the future, you shouldn’t have a problem. Email if you need more on this, glad to help. Thank you for your offer! I’ll try it out and if I don’t make any progress, I will contact you.